A lot of amusement parks offer a skip the line or fastpass option that allows you to jump to the front of the line or wait in a much shorter line. Typically these options are offered to you at an additional cost aside from your ticket cost. The nice thing when it comes to visiting Disney parks is that they include fastpasses with your ticket purchase for 3 rides or attractions at no additional cost. Thats like basically FOR FREE YA’LL! Disney can be viewed as a more costly park to visit than a standard park, having the Fastpasses at no additional cost to you is a HUGE perk. This is a really nice option to allow you to have a fast pass for things that you really want to do or attractions that tend to have a very long line. 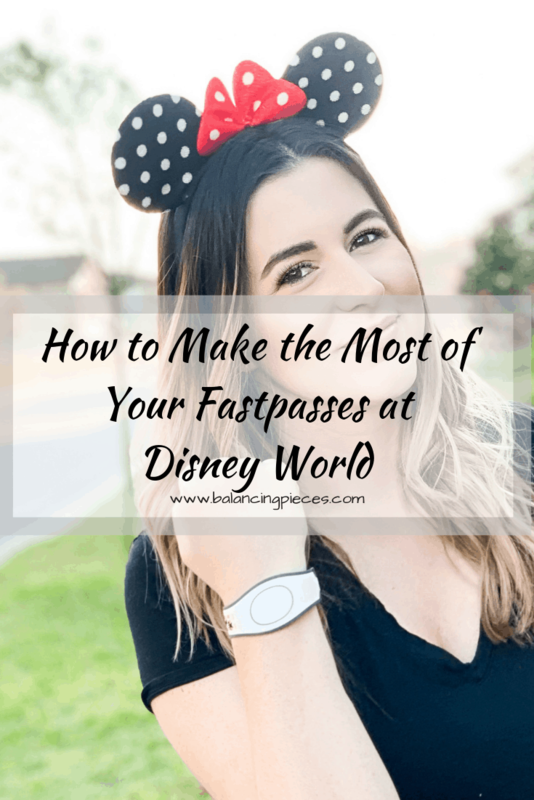 I am going to share today some tips to make the most of your fastpasses at Disney because you are limited to only three so you want to make sure that you use them wisely. 1. Book in Advance: If you have a vacation scheduled to Disney parks and you purchase your tickets in advance, you can book your fast passes up to 30 days in advance. If you are staying off Disney property and if you are staying on Disney grounds you can book your fastpasses up to 60 days in advance! I would highly recommend taking advantage of this offer because there are only a limited amount of fastpasses per attraction per day and they do book up quickly. If you are looking to book for a more popular ride (aka Frozen), I can almost guarantee that they will not be available same day and you will definitely want to book them out as far out as you possibly can to ensure the availability. 2. 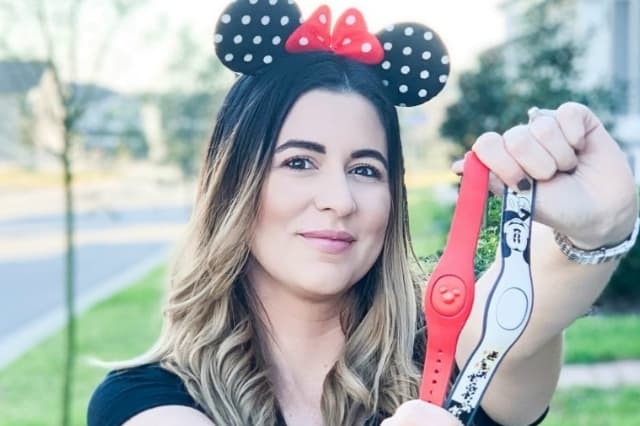 Choose Attractions Wisely: There are some rides or attractions that tend to have longer lines regularly compared to others and these are typically the types of attractions that I would recommend using your Fastpass for. I would typically consider the busier rides to be things like Snow White Mine Train, Pirates of the Caribbean, The Haunted Mansion, Tower of Terror, Avatar, Flight of Passage, Frozen, as well as Aerosmith’s Rock n Roller Coaster. The Fastpasses for these are typically filled up at least a couple of weeks in advance and the wait times tend to be anywhere from 1-3 hours dependent on the day of the week and the time of the day. 3. Link Your Whole Party Together: If your group of guests intend to all ride together and use your fastpasses at the same time, each person must book the fast pass on their own ticket. A great way to ensure everyone is booked together is to sync up all of your passes together in the My Disney Experience app. This will make it that any time someone in your party books a Fastpass, it will automatically book it for everyone in the party. If you have one person make any modifications for your Fastpasses make sure that that specific person is linked to everyone in your party. Unfortunately, you are not able to have multiple people use one Fastpass booking so it is three Fastpasses for each group. 4. Use It Or Lose It: Make sure that when you do book your fastpass that you actually use it or change it prior to the time that it was supposed to be used. Even after Fastpasses are booked you can still change them or cancel them if need be in which you can still use that Fastpass at another time or on another ride/attraction. Make sure that you don’t book your fastpass and then skip it because you can lose that opportunity to use your fastpass elsewhere in this situation. Make sure that you don’t waste your Fastpass by booking it and not using it. You can always change to another pass the day of your trip IF that ride is available. 5. Retrieve Additional Fastpasses: After and only after you use up all three of your Fast Passes you can go to the Fastpass kiosks around the park (if you are unsure of where to find one, just ask your nearest Cast Member and they can point you in the right direction). In addition to the kiosks Disney has recently added the ability to book additional same day Fastpasses through the My Disney Experience app as well and retrieve additional Fastpasses one at a time. This is a great added bonus because you don’t have to hunt down a kiosk or wait in line behind others that are also trying to book their Fastpasses. You must use all three of your first allotted Fastpasses and then after that you can get another one and use that and continue from there. Just keep in mind that you do have to use up the Fastpass before you are able to get another. 6. Utilize Your Fastpass Window: When booking a Fastpass you get to book it for an hour window of time so you don’t necessarily have to be there right at the time that you have it booked. This allows for some leniency if you need to make a bathroom stop or grab a snack on the way to your Fastpass booking,. Just remember to arrive sometime during that window of time. A little bonus perk is that you can actually arrive up to 5 minutes prior to your booking time and up to 15 minutes after your booking time so if you are running a little off schedule then don’t worry, they do provide a little bit of a grace period. Fastpasses are a great opportunity to fit more rides and attractions into your Disney vacation and I would highly recommend taking advantage of them. This way you can fully utilize your trip and ensure you get the most bang for your buck. 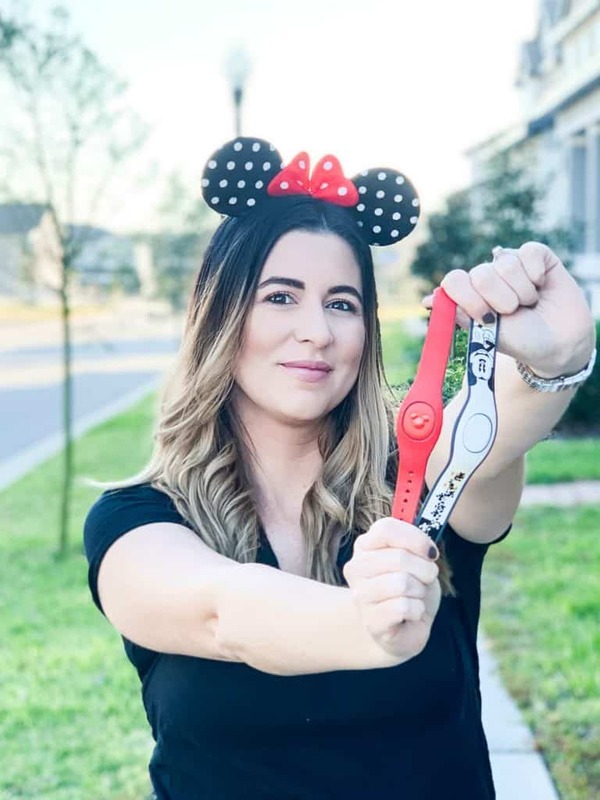 I hope these tips help you out when it comes to planning and booking out your Fast Passes for your trip to Disney World.